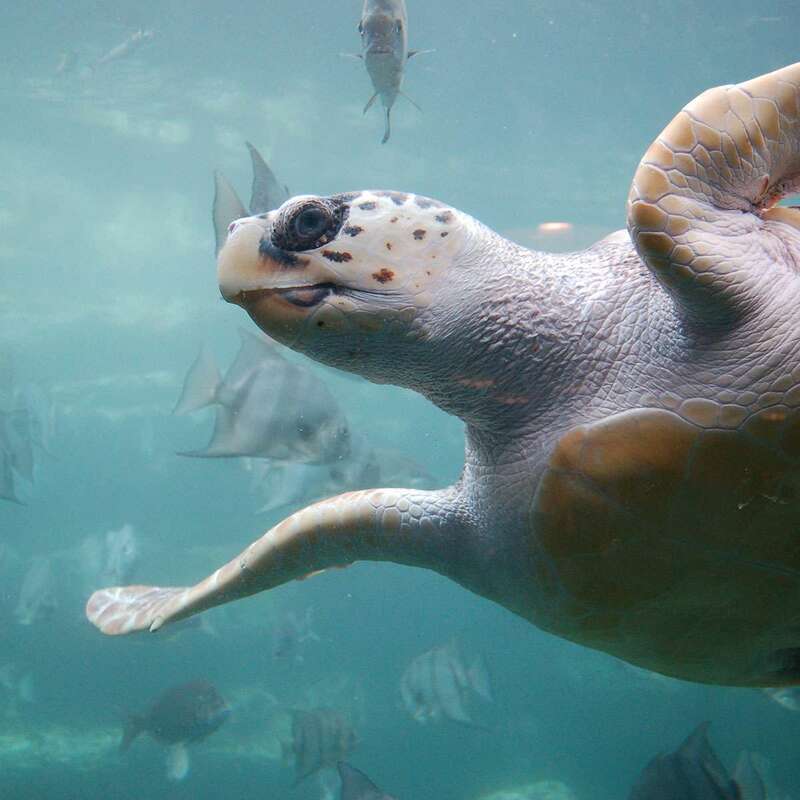 Loggerhead sea turtles weigh an average of 250 pounds, with reddish-brown shells around 36 inches in length. Named for their large heads, their powerful jaws allow them to consume hard-shelled prey. The species is divided into nine distinct population segments, only two of which can be found in the United States. Beaches and oceans make up the loggerhead sea turtles’ habitat. When turtles hatch on the beach, they quickly make for the sea. As they grow, they spend time both near the coast and in the open ocean, returning to the beach when it’s time to nest. The loggerhead sea turtle can be found in the Atlantic, Pacific and Indian Oceans. Their nests are most often found along the eastern coasts of the United States and South America, as well as the western edges of the Indian Ocean. 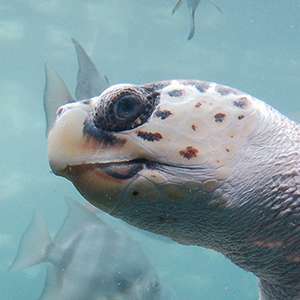 Degradation of loggerhead nesting habitat — from coastal development and construction to beachfront lighting to vehicular and pedestrian traffic — has impacted the ability of the species to safely and effectively reproduce. In addition, fishing practices, oil development and marine pollution threaten the sea turtles’ ocean habitat. The extensive migration routes of the loggerhead sea turtle make it challenging to protect the species throughout its range. In the United States, officials are working to ensure protection for nesting beaches, decrease the impacts of fishing activities, and reduce the impact of development near shorelines. Efforts are also being made to coordinate with other countries that provide sea turtle habitat. To protect the loggerhead sea turtle, NPCA is working to improve water quality and protect nearby marine habitat.